Piedirosso: “The name… translates as “red foot” and the grape is also known as Palombina or Pre’e Palummo meaning respectively little dove and dove’s foot in dialect, the latter because of its red-colored triple-branched stem like a three-taloned bird’s foot,” according to Nicholas Belfage in his book Brunello to Zibibbo. 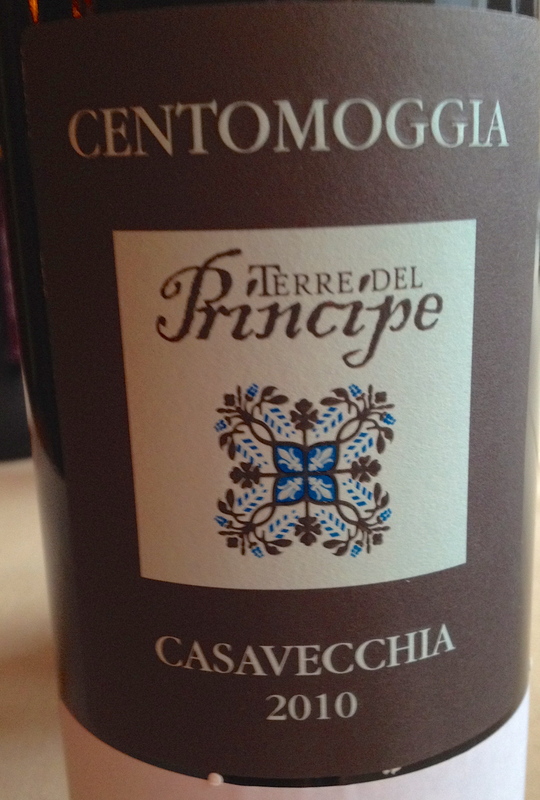 Piedirosso is an ancient black skinned grape that does well in volcanic soil. It may be identical to the Colombina, the grape that Pliny the Elder (d. 79 AD) mentions in his Natural History. 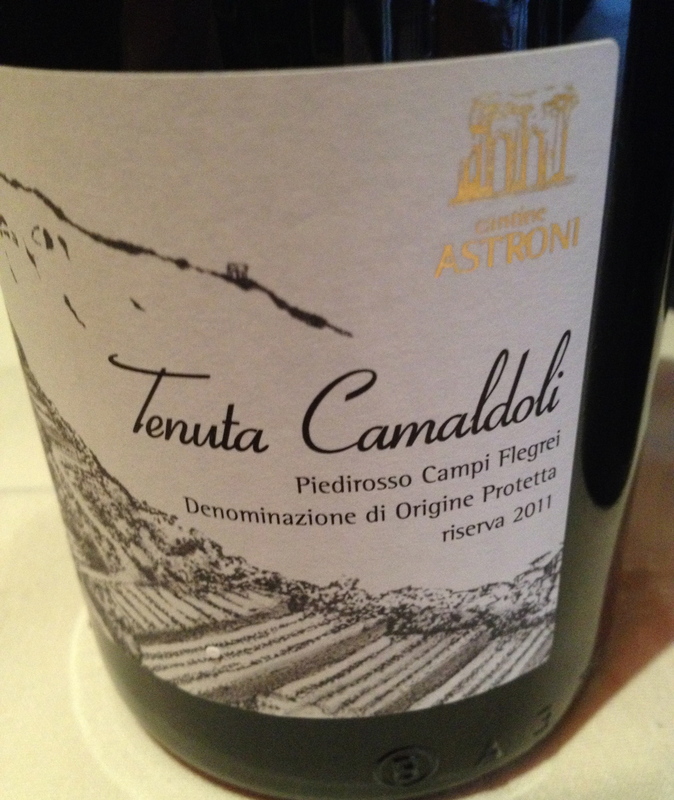 Piedrosso Campo Flegrei Riserva “Tenuta Camaldoli” DOC 2011 Cantine Astroni 100% Piedirosso The winery is located in Campi Flegrei west of Naples. The bunches were destemmed by hand to avoid any possible greenness in the wine. A small quantity of juice and skins was put into an open top tronconic cherrywood cask where it was fermented by indigenous yeast. The wine was treated as gently as possible, and only punching down was used for extraction. After the fermentation had finished, the wine remained for an extraordinarily long time on the skins, some 65 days in total, in order to extract all the tannins from the skins. The wine went through malolactic fermentation, which happened by itself, and was racked off in a small stainless steel tank where it stayed for a month. Cassavecchia (old house) The origin of the cassvecchia vine is completely unknown. Legend has it that farmers found an old vine, which had survived phylloxera. It was rediscovered among ancient ruins in Pontelatone inside the remains of a walled garden near the via Latina, the ancient road which connected Capua with Alife. The vine that was found had a trunk 40 centimeters across and cuttings were taken from it and replanted. 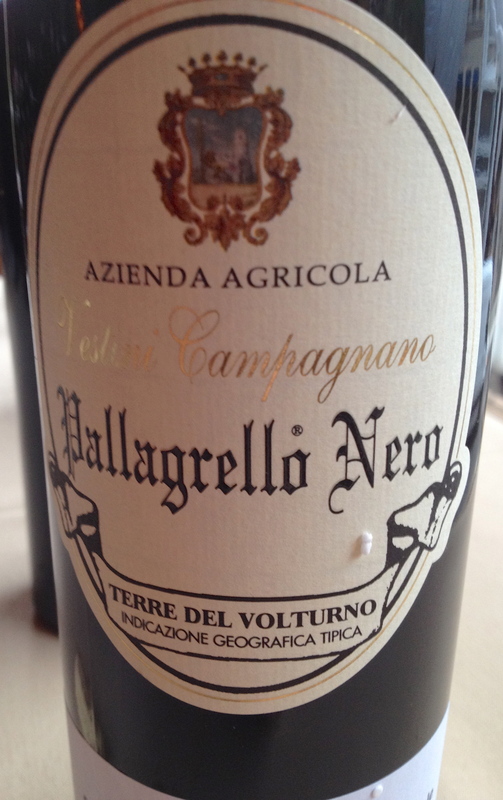 Pallagrello Nero: This grape variety is grown almost exclusively in Campania particularly in the province of Caserta. 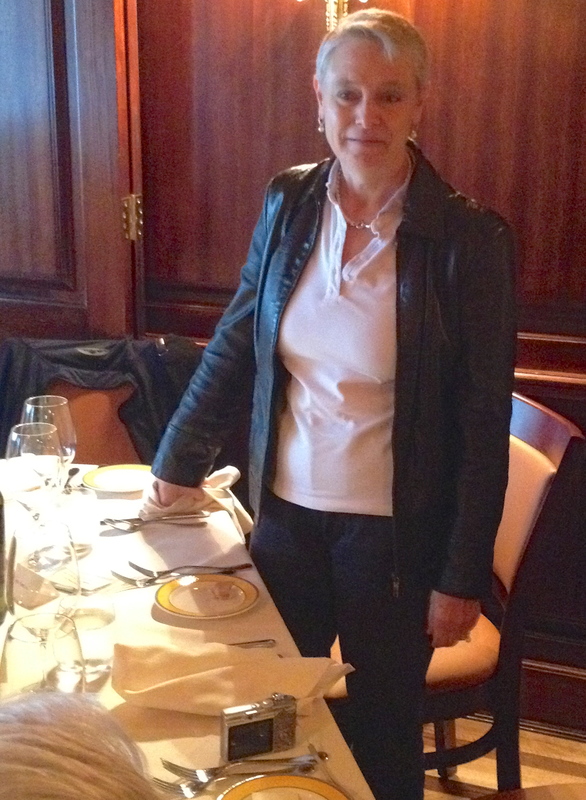 It was a favorite of Ferdinand lV the Bourbon King of Naples and Sicily. 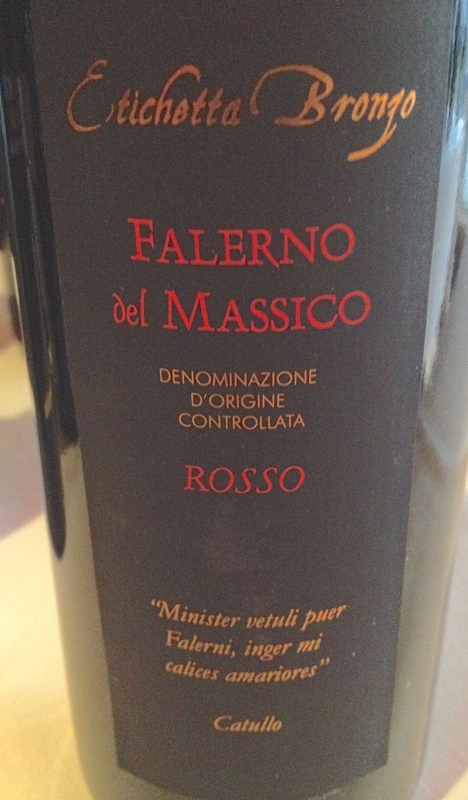 Pallagrello was believed to have been destroyed by phylloxera but was rediscovered in the 1990’s and has been replanted by a few wineries. It is not a color mutation of Pallagrello Bianco. 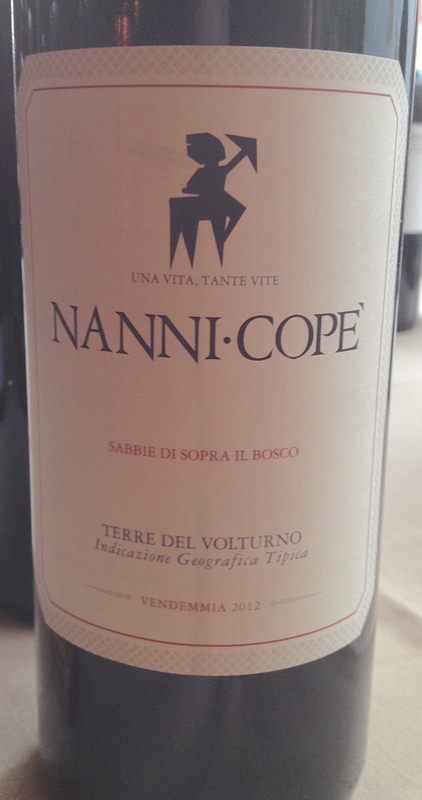 Terre del Volurno IGT “Sappie di Sopara il Bosco” 2012 Nanni Copè, made from 90% Pallagrello Nero 5% Aglianico (clone VCR 23) and 5% Cassavecchia. The grapes are from a 2.5-hectare vineyard of the same name. The soil is mostly sandy with silt and clay. 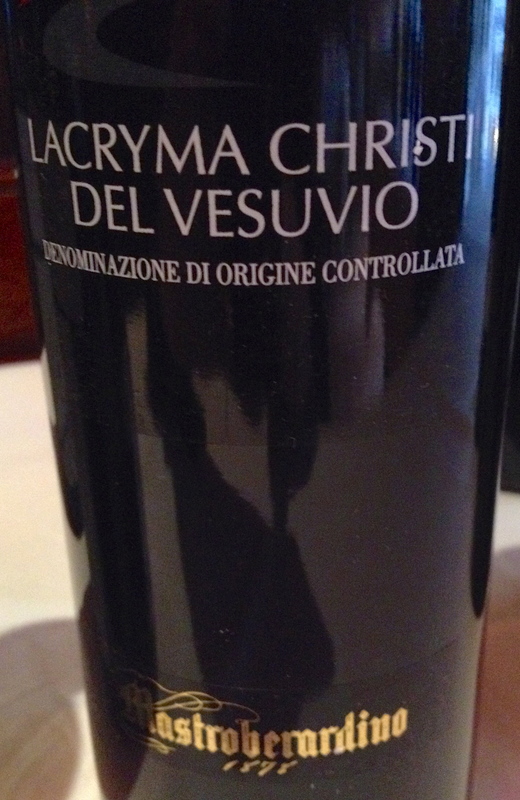 There are 1,750 vines per hectare and the vines are 30 years old. Organic farming methods are used but the winery is not certified organic. Only fully matured grapes are harvested by hand. 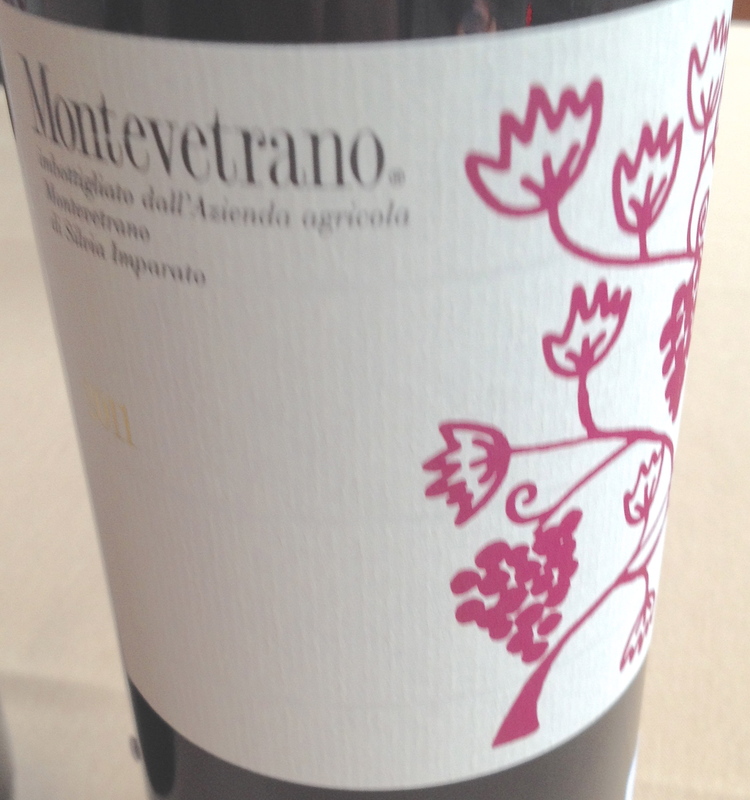 The wine is fermented in stainless steel with natural yeast and the grape varieties are fermented together. Maceration lasts for 16/19 days and malolatic fermentation takes place in 500 liter barrels.The wine is aged 1/4 in new oak, 1/4 in second passage, 1/4 in third passage and 1/4 in bottles. The wine remains here for one year and then all the wine is aged in bottle for another for 8 months before release.